The pristine method as you knew it is gone forever, things change and they have since the 90s. However, as one of my past students, you are always a student and I will always support you in your financial goals. You are always welcome to email me for help with a trade or market-related questions. If you are here, that's great and I am happy that you are too. 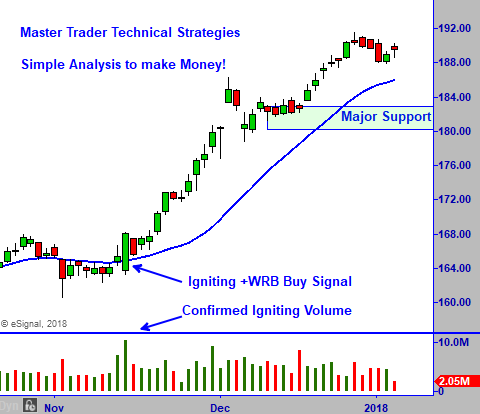 If you would like to take MasterTrader Technical Strategies – MTS, which encompasses all of my investing and trading technical strategies that have been updated for today's markets. I have added much more to this one course far beyond anything from the past. As a past student, you can take the Complete MTS course at the discounted price of only $795.00. Please email me at greg@mastertrader.com with your name, what course or courses that you took, and who your salesperson was at the time. After checking records, I will email you a link to the discounted MasterTrader Technical Strategies course. The MTS course includes lifetime follow up sessions with me where we will connect as we did in past coaching sessions. If you have taken the old Trading the Pristine Method at a firm (other than Pristine) that is unfortunate. We can help. If you are thinking about it, read Trading the Pristine Method – Origin and End first. Email me at greg@mastertrader.com for help to attend MasterTrader Technical Strategies.